Description: Insectomorphs were insectoid creatures used as riding mounts by Dug cavaliers on Malastare. Insectomorphs had a gray hide marked with greenish-yellow stripes. They moved on four legs that ended in two long toe-like pads. Their hind legs were roughly twice the length of their front legs and considerably more muscular. Their short, blunt heads protruded just between the shoulder joints of the shorter front legs and had a wide sharp-toothed mouth and red eyes. 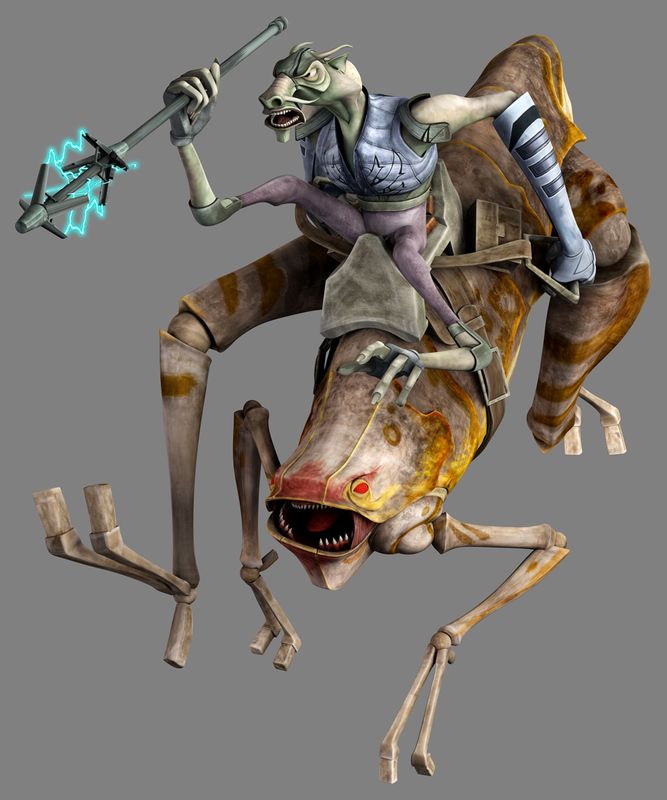 Insectomorphs were ridden as cavalry mounts by Dug cavaliers during the Clone Wars. 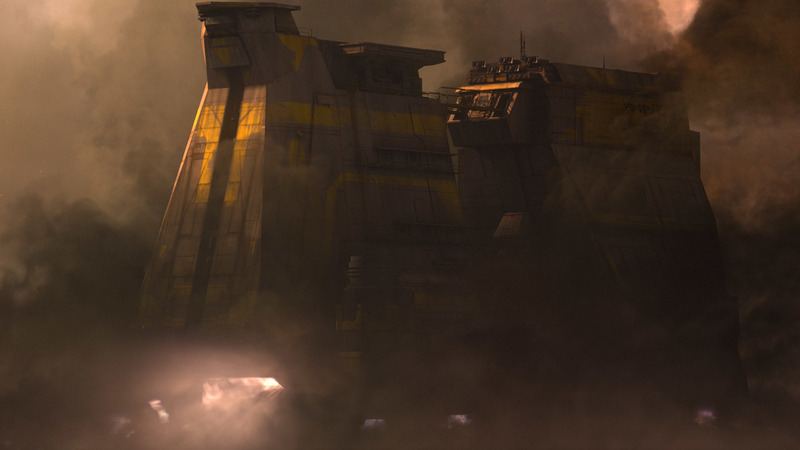 Several were killed by blaster fire from Separatist battle droids as their riders charged against the overwhelming enemy forces armed only with electrostaffs.